Fox Jensen McCrory. Auckland March 2017. Gesture can be risky. At the very least it is a tainted term, one that gets bundled up with authorship and authenticity and from there it’s only a hop, skip and a jump to emotionality and the human condition. This psychological yoke that gesture wore throughout much of the modernist period would eventually become too much, especially after the sorbet being offered by minimalism. This back and forth between the loaded and expressive and the cooler and considered is a repetitive “gesture” across art history. Each of these artists gives gesture a different loading and responsibility. For Tomescu gesture advocates and carries structure. It sets co-ordinates and allows material to contribute without the puritanism that Greenberg desired. The works included in this exhibition also involve collage – another process of structural gesture but also one of disruption. 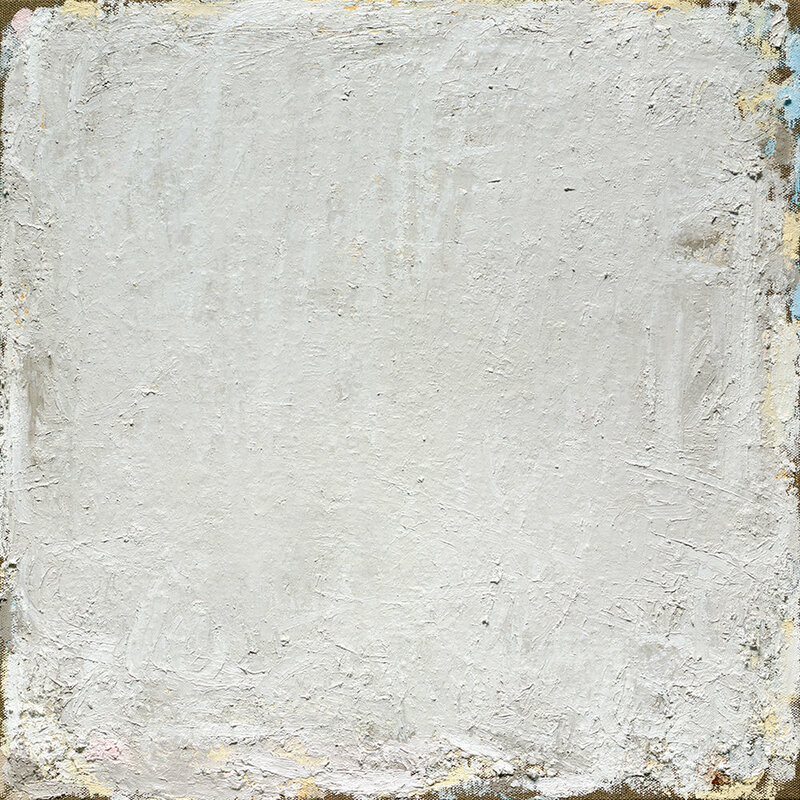 In Tomislav Nikolic’s work gesture is less apparent across the surface of the painting. Nikolic finesses pigments, coaxing his extraordinary chromatic density out of the slow accrual of layers. As modest as his gestures are, they, like the colours, accrue so that his paintings carry an accumulated evidence of his hand, something revealed particularly at the dissipating edges. Leigh Martin has long sought to give gesture an analogous life - one that subjugates authorship in favour of processes that flirts with the mechanistic and the sonic. His new large paperworks however seems to present the membrane of a gesture. Less Lichtenstein, more David Reed, Martin is taking us inside the anatomy of the gesture. He gives us a kind of MRI scan of it…fine layer by fine layer. In the beautiful paintings of Jenny Topfer we witness a wrestle with the competing desires to let gesture have it’s way and then to negate its potential rhetoric and direct it towards a more chaste poetry. A looping, almost calligraphic gesture underlays the denser soft greys and whites that form the body of the painting. These glimpses of colour emerge from beneath at the periphery – not unlike Nikolic. We become aware though that this coastal activity doesn’t just quicken the edge, it emboldens the centre. The paintings of New York artist Jacqueline Humphries rub up against a heavy-duty gestural history. Humphries work seems to run a neither confirm nor deny policy about gesture itself though, one minute taking pigment on an expansive sweep only to disrupt and curtail it by peeling away shards or wiping the gesture away…with another gesture. This relentless process of breaking the surface denies gesture’s theatre and imagined authority and replaces it with a faster, leaner surface – a kind of bombast afterimage.